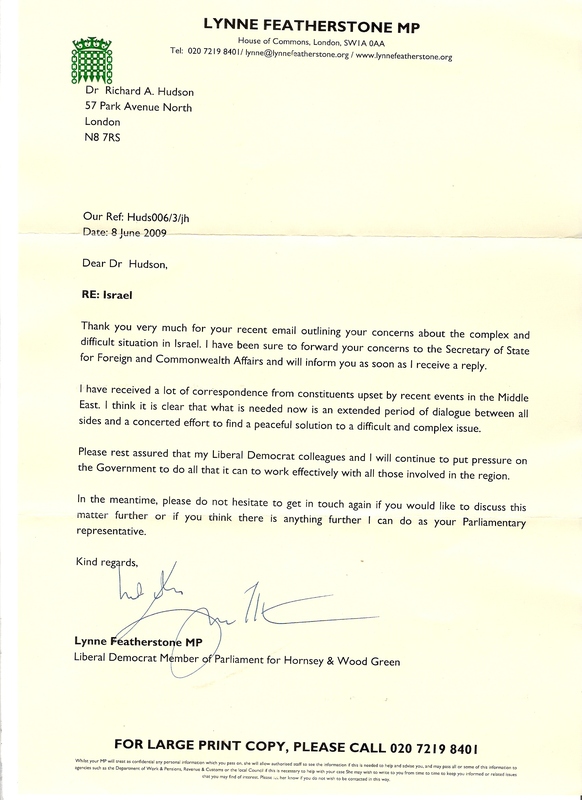 I have corresponded with my MP, Lynne Featherstone (LibDem) and Catherine West (Labour) on the following issues, and in each case they have taken my concerns sufficiently seriously to pass them on to the relevant minister. 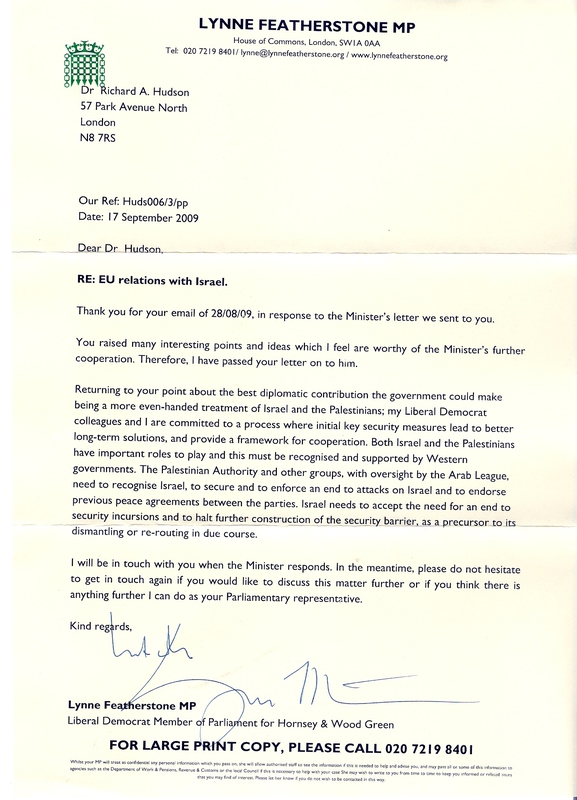 Each of their letters has (eventually) received an answer, which they passed on to me. 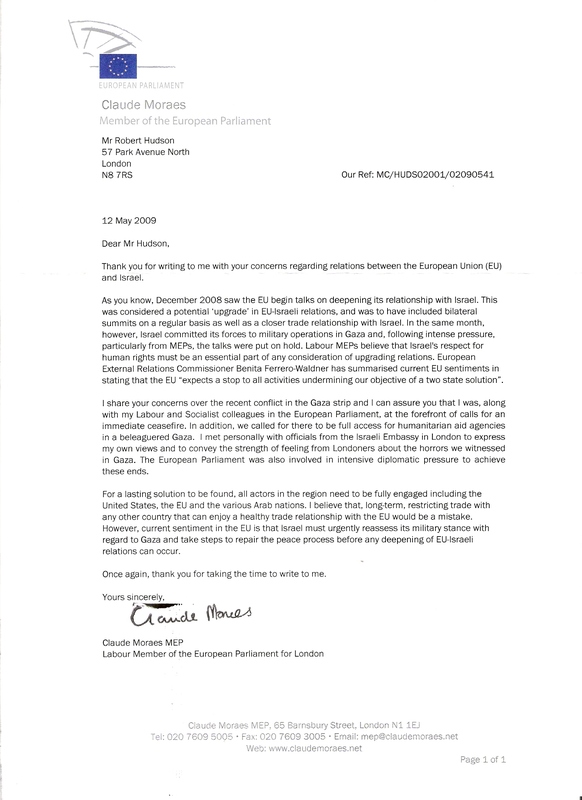 I’ve also written to my MEPs, and again received answers; and similarly for the Advertising Standards Authority. 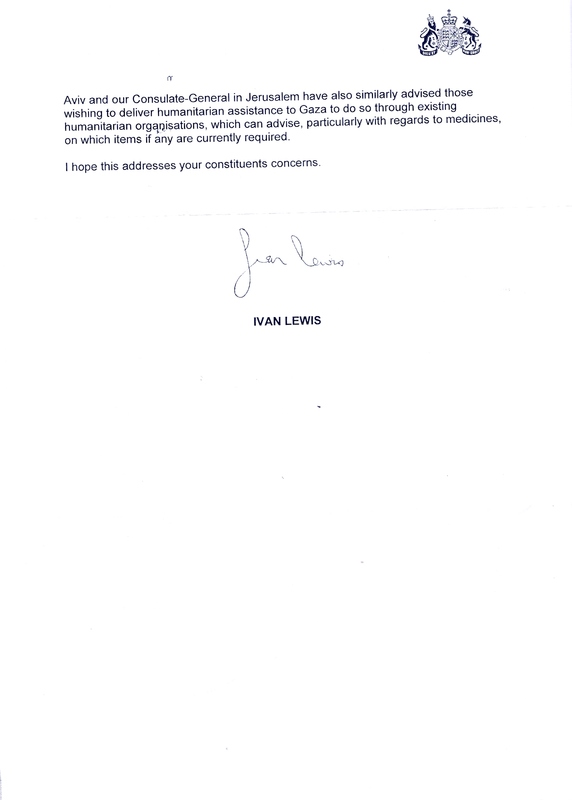 Since the issues are public and there is no reason to see the correspondence as private, it’s all available here, organised by issue. 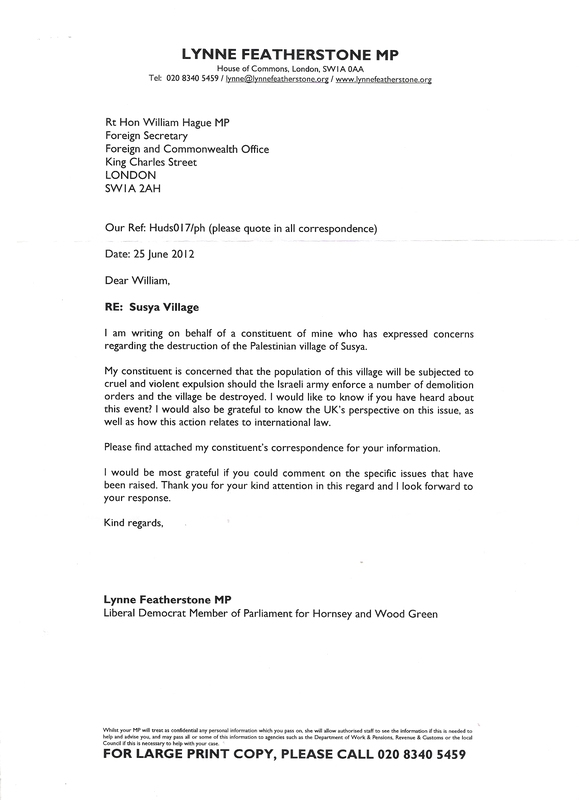 emails from me to Catherine West MP and her reply to me. 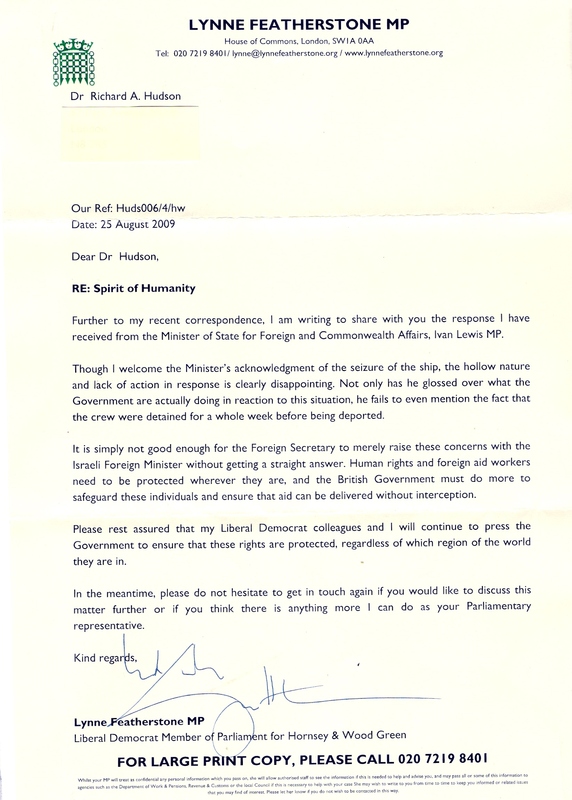 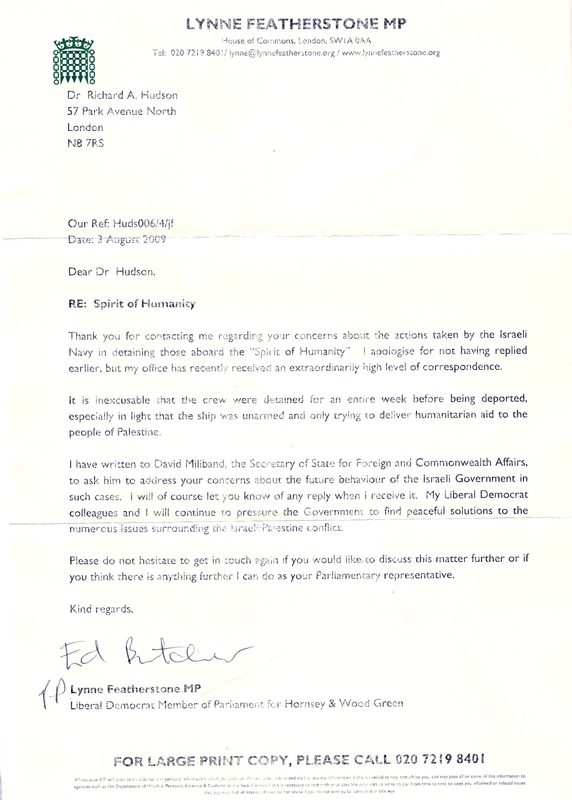 reply by the Foreign and Commonwealth Office to a letter from my MP responding to a protest by me. 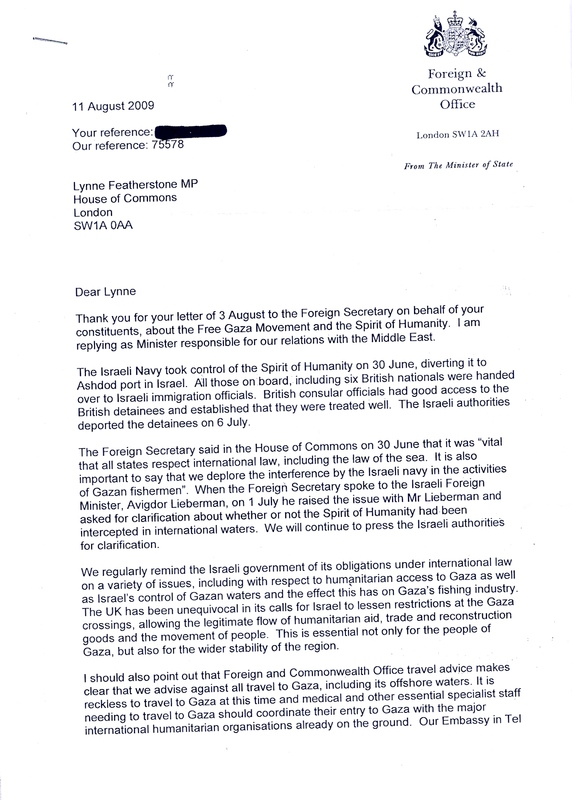 email from my MP to me, with a letter to the Foreign Secretary attached. 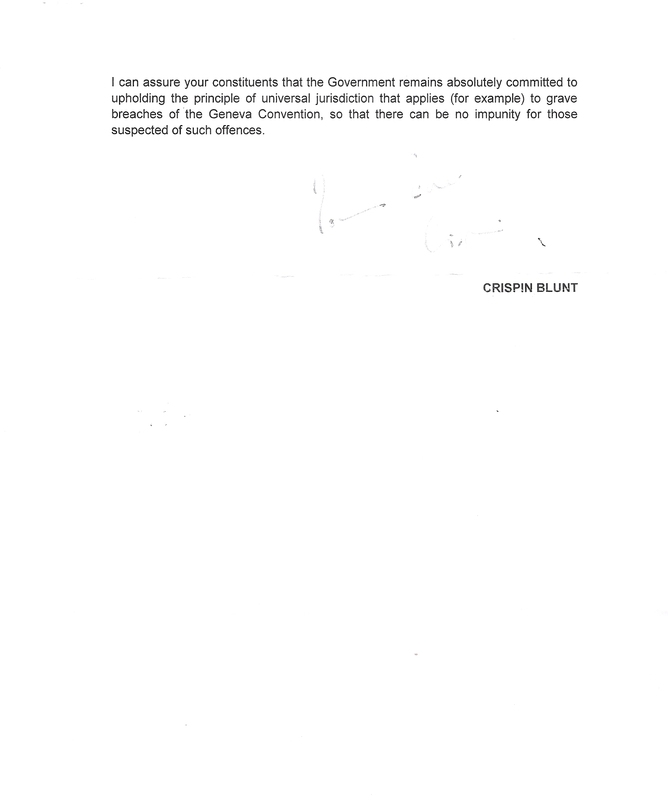 letter from Minister to MP. 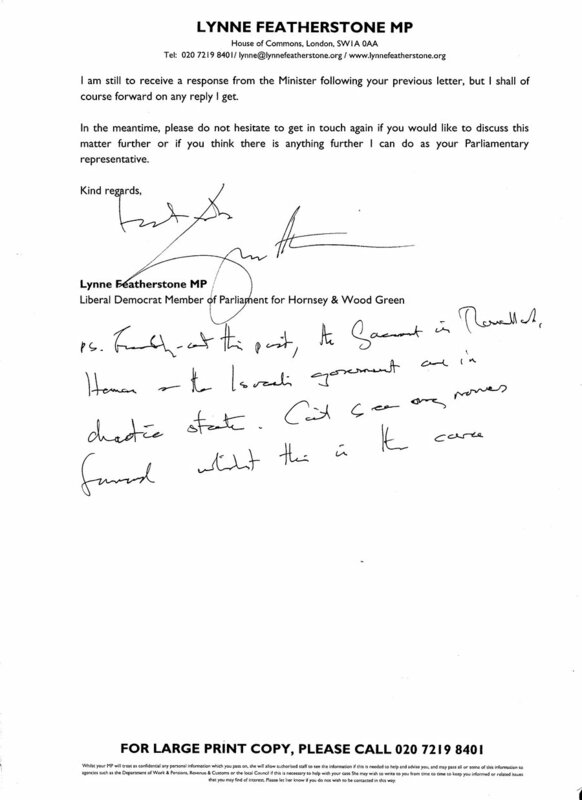 reply by the Minister to my MP: page 1, page 2. 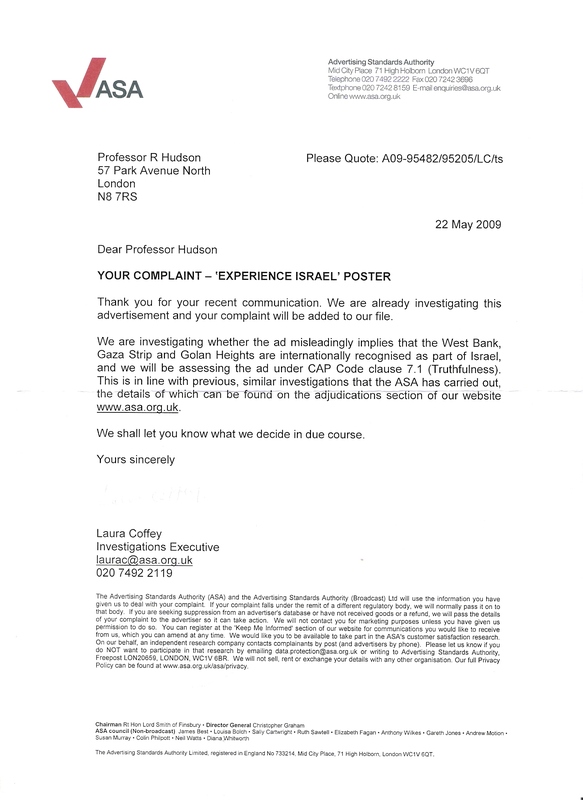 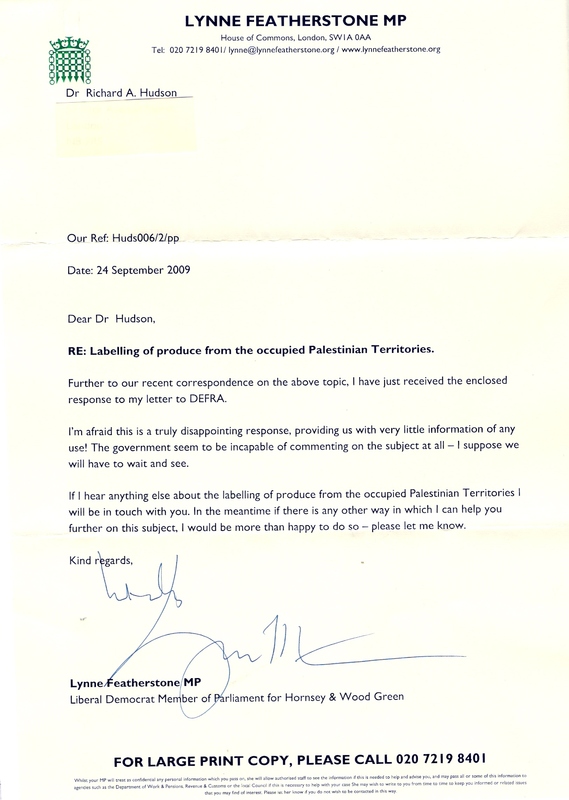 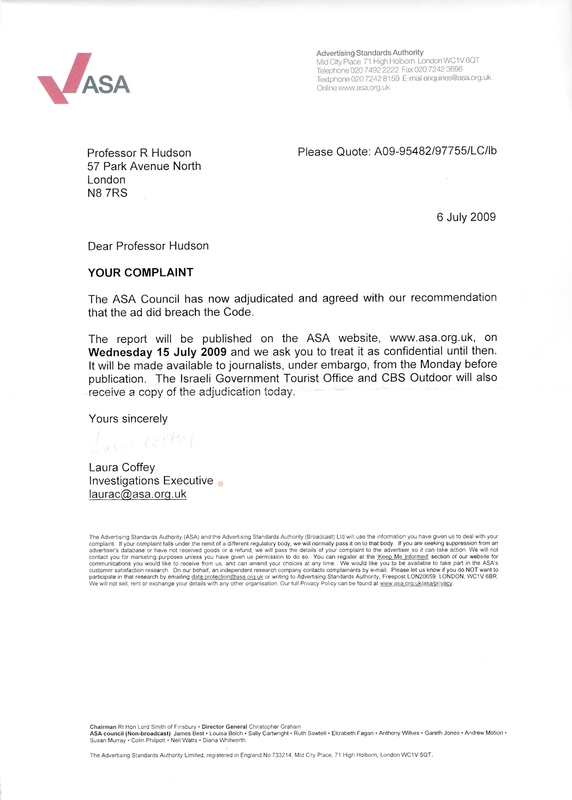 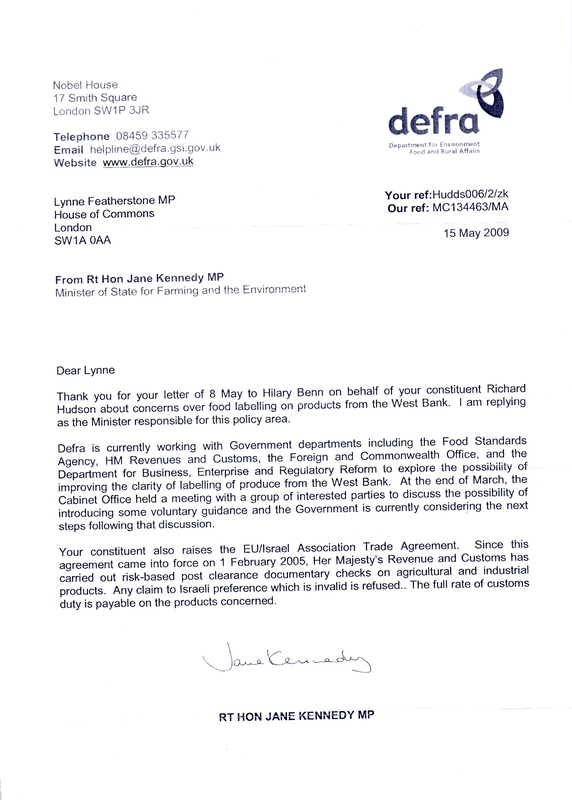 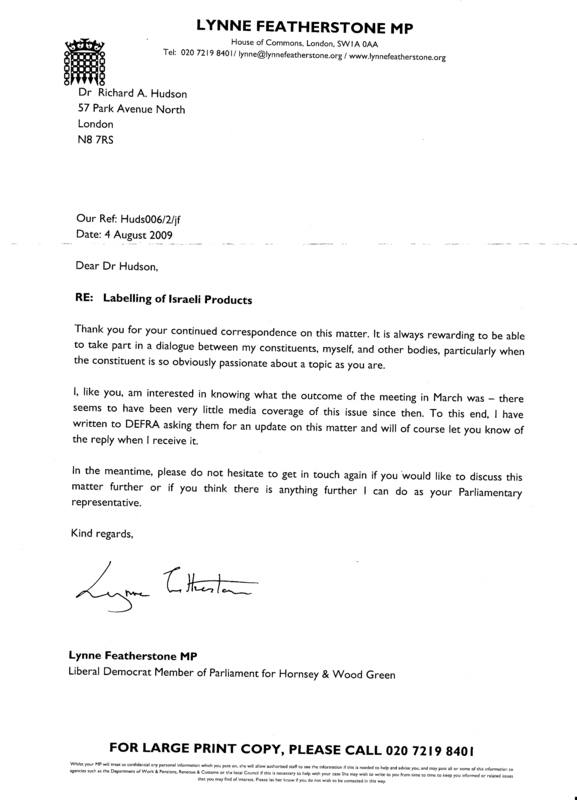 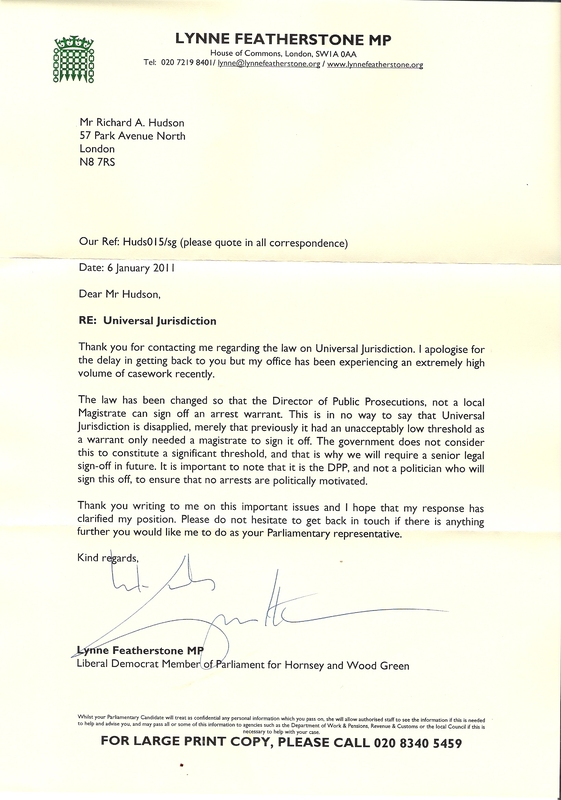 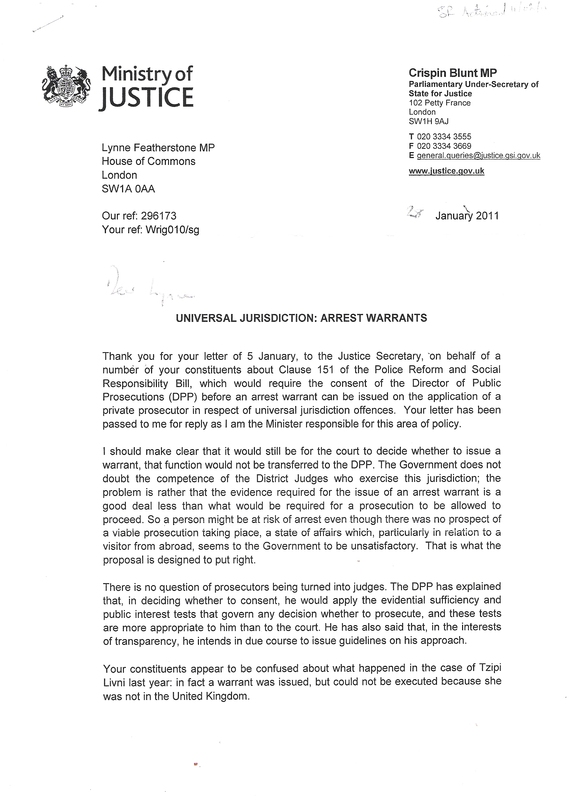 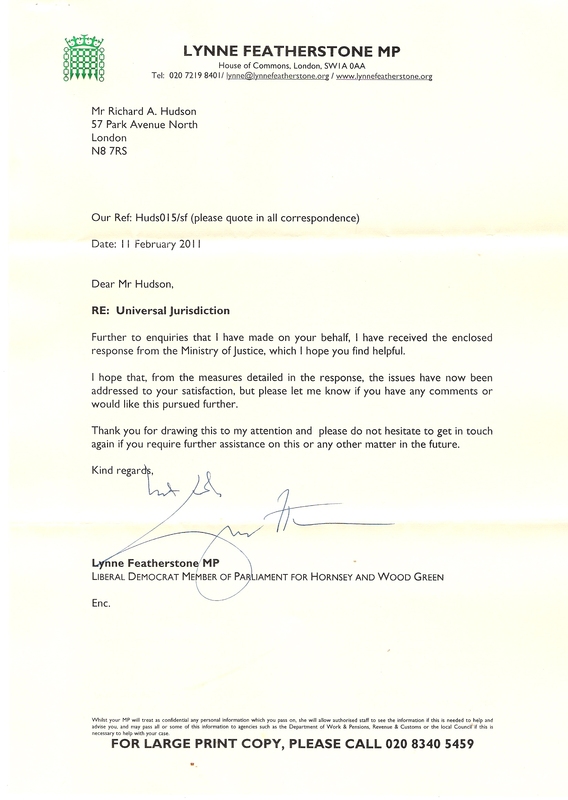 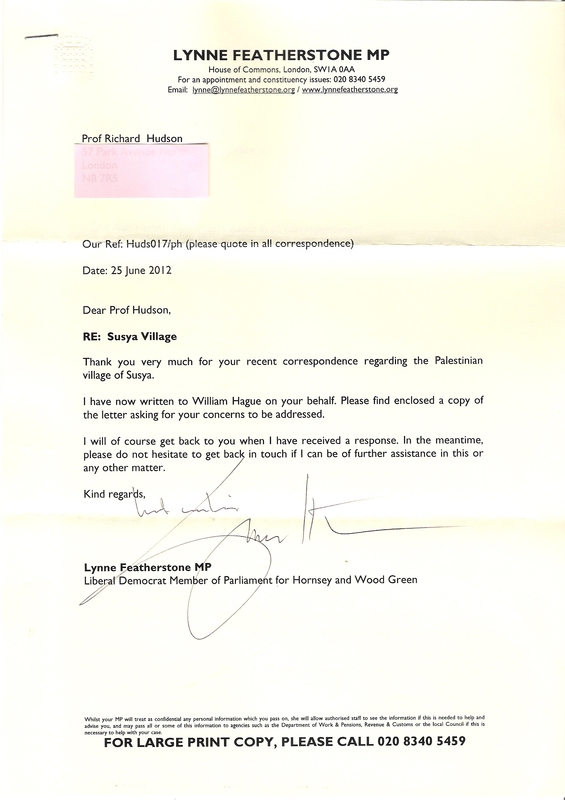 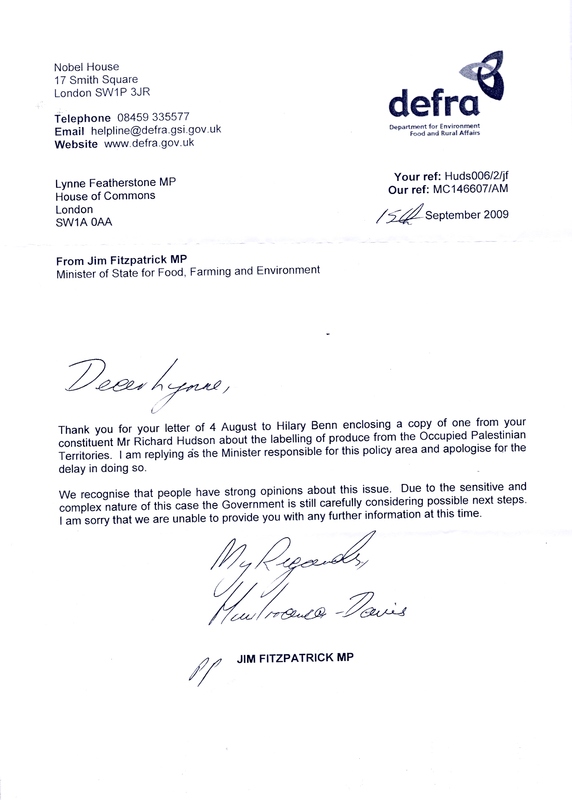 (2011) further letter from my MP to me, responding to a further complaint by me. 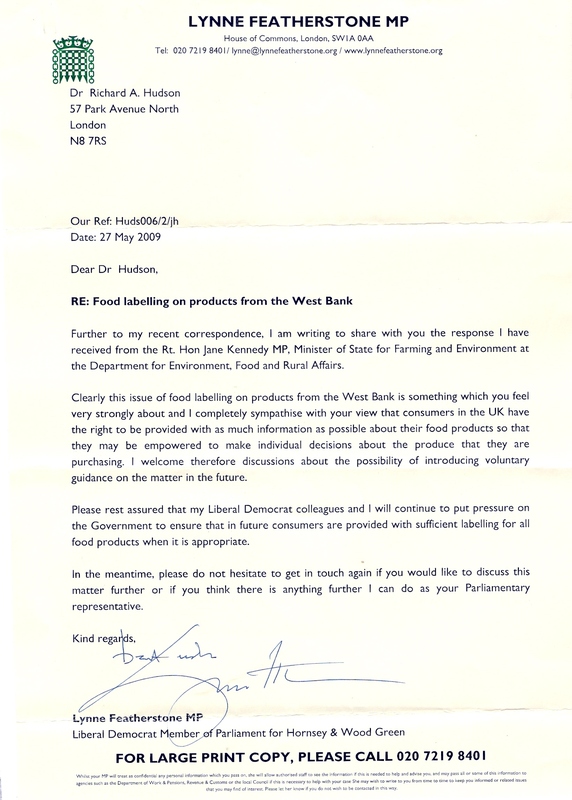 (2011) another letter from my MP to me, explaining a change in government policy. 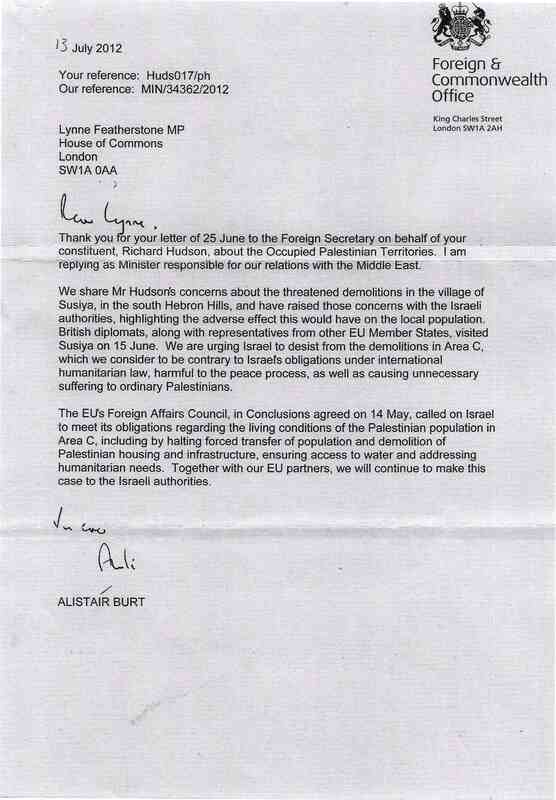 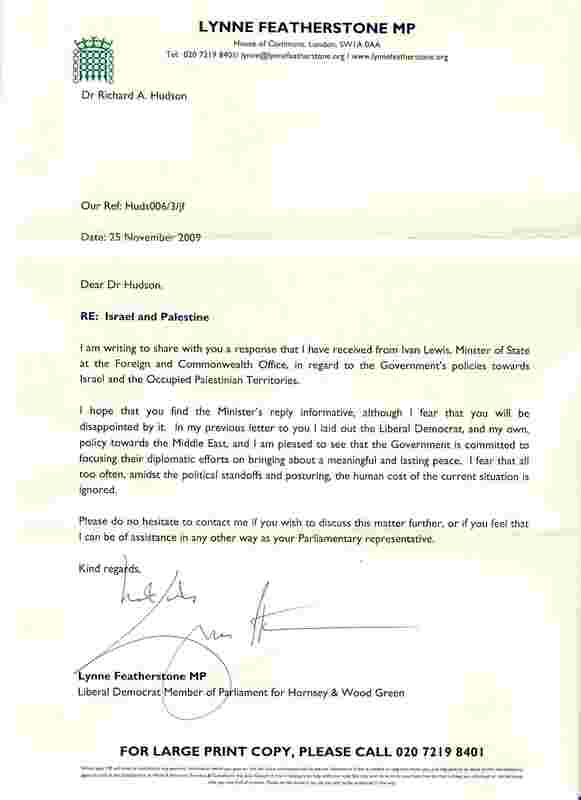 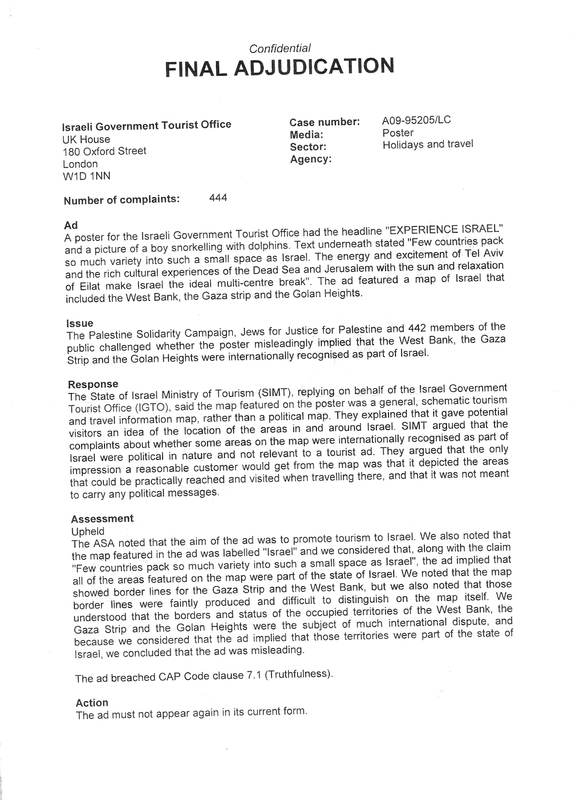 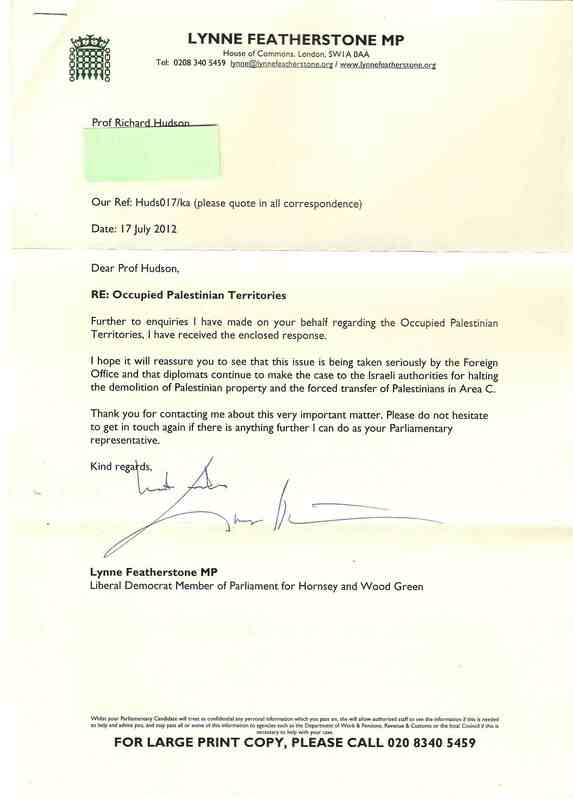 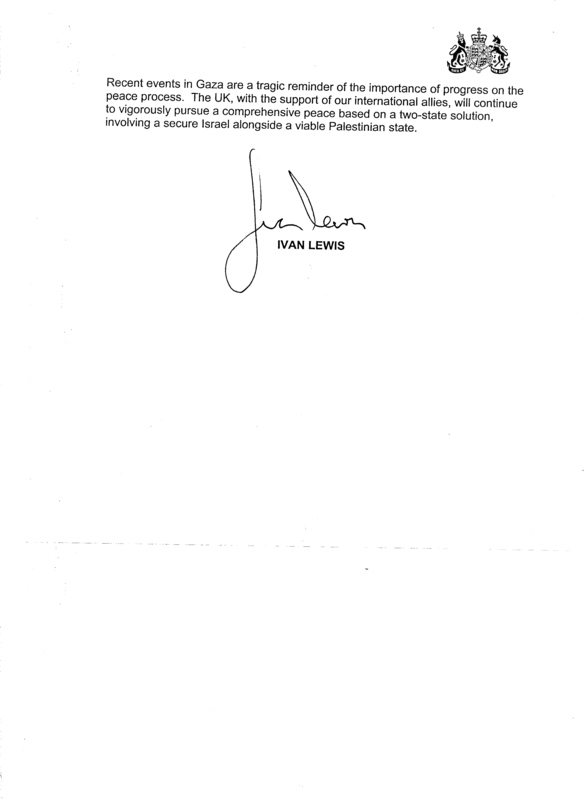 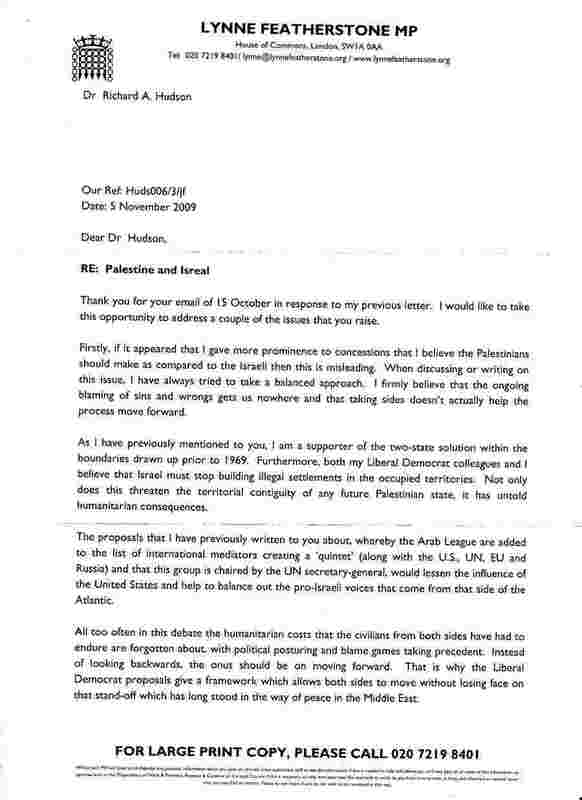 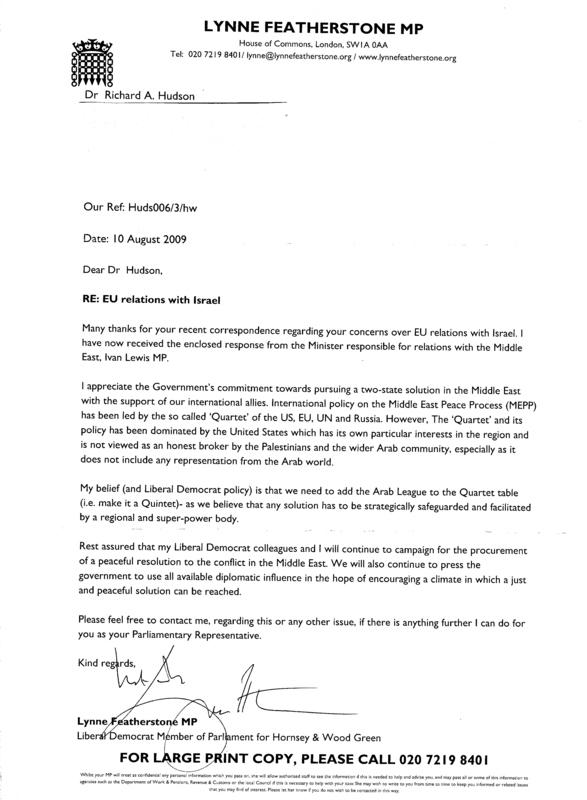 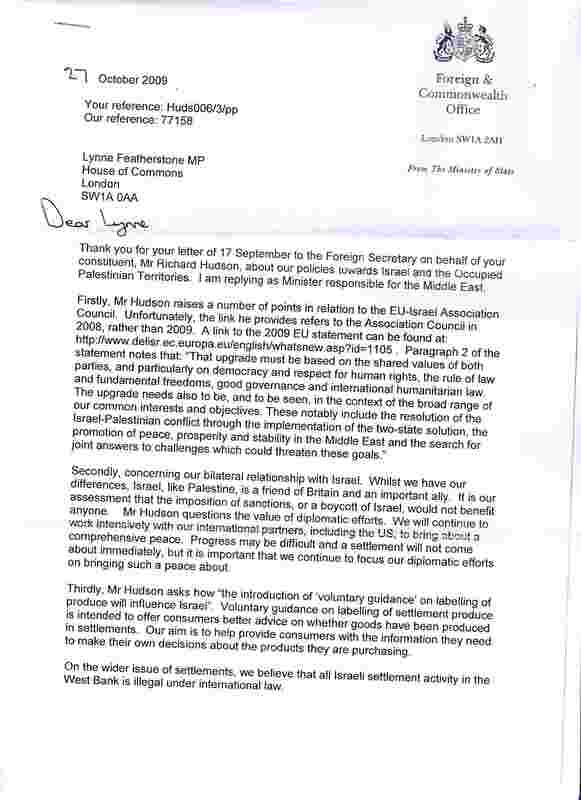 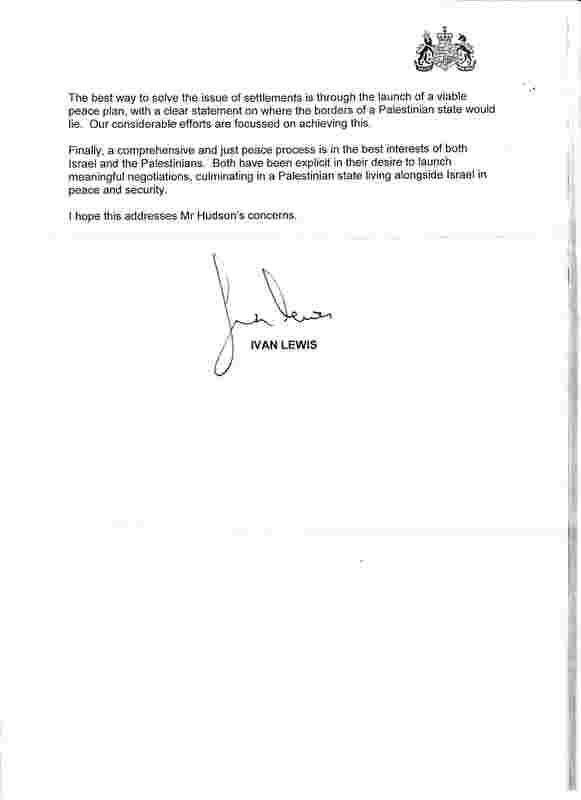 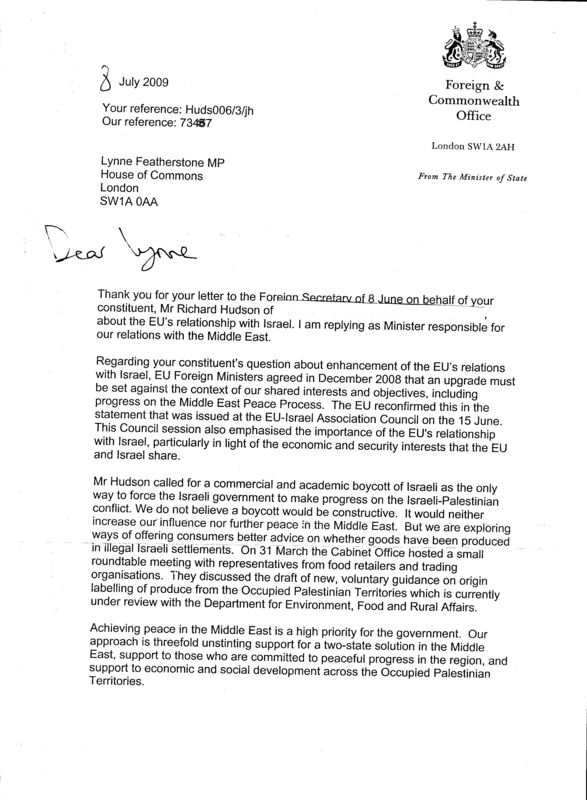 a reply from a Minister: page 1, page 2.
a letter from my MP: page 1, page 2.
another letter from my MP, enclosing a reply (here and here) to her from the Minister responsible for the Middle East.